In a toy story worthy of Hollwood treatment, a group of teddy bears clashed with the combined forces of goodies and baddies from Star Wars, some heavy-hitting Transformers, He-Man, the Thundercats, a platoon of GI Joes, and martial arts experts the Teenage Mutant Ninja Turtles at an auction in the Cotswolds last week. 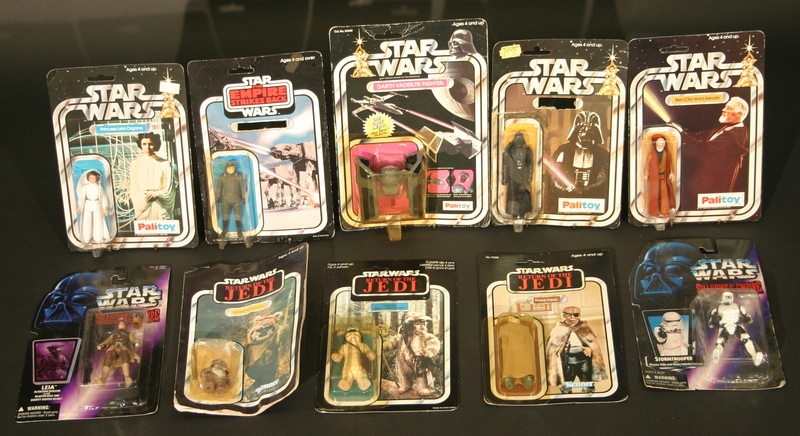 The Force was with Darth Vader and Luke Skywalker, as a collection of toys from the late 1970s to the 1990s sold for nearly £8,000 at Moore Allen & Innocent’s antique and general sale in Cirencester on Friday, March 16. But the teddy bears – some of whom were around 100 years old – stood their ground, with one achieving the accolade of highest single lot price of the day, at £780. 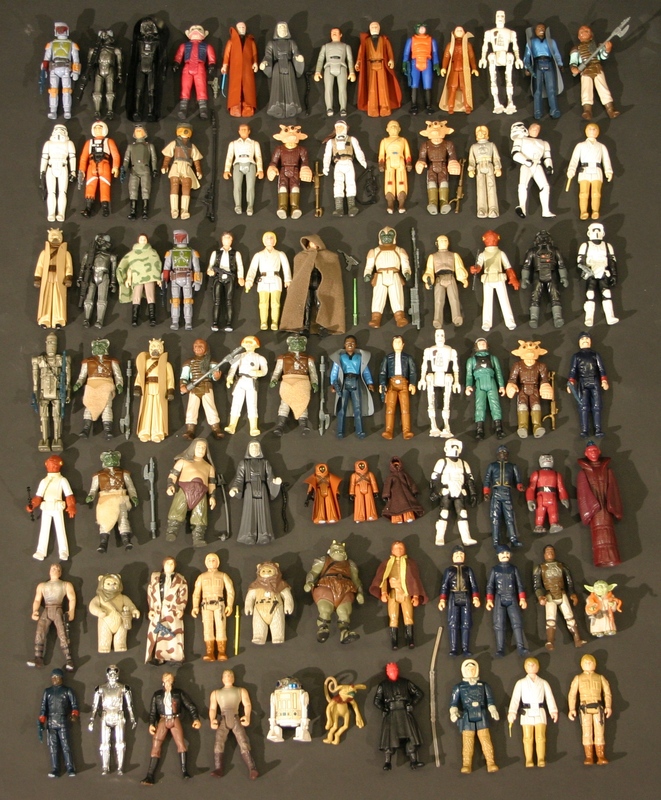 The majority of the late 20th century collection – which attracted significant media interest – comprised action figures and vehicles from the Star Wars franchise. Among the top lots was a box of miscellaneous items including guns, lightsabers and backpacks – just the sorts of things usually missing from play-worn examples of the collectables – which was snapped up for £340. Meanwhile, two boxes, each containing 50 play-worn Star Wars figures were sold for £240 and £220 respectively, while a box of early Star Wars figures circa 1977-83 attracted a winning bid of £160. Outside of the Star Wars universe, three boxes of various Transformers and Zoids model action figures made £240, and a collection of around 16,000 trading cards including Pokemon and Dragon Ball Z achieved £180. And it was like the early 1990s all over again as games console makers Nintendo and Sega went to war, with a quantity of various Nintendo and Super Nintendo games, consoles, and controllers making £290, while a similar collection of Sega consoles – including Megadrives and Master Systems – with controllers and games realised £250. But it was the plush green teddy by English toymaker Farnell who ended the auction at the top of the toy box, after a collector paid £780 for the 100-year-old bear. 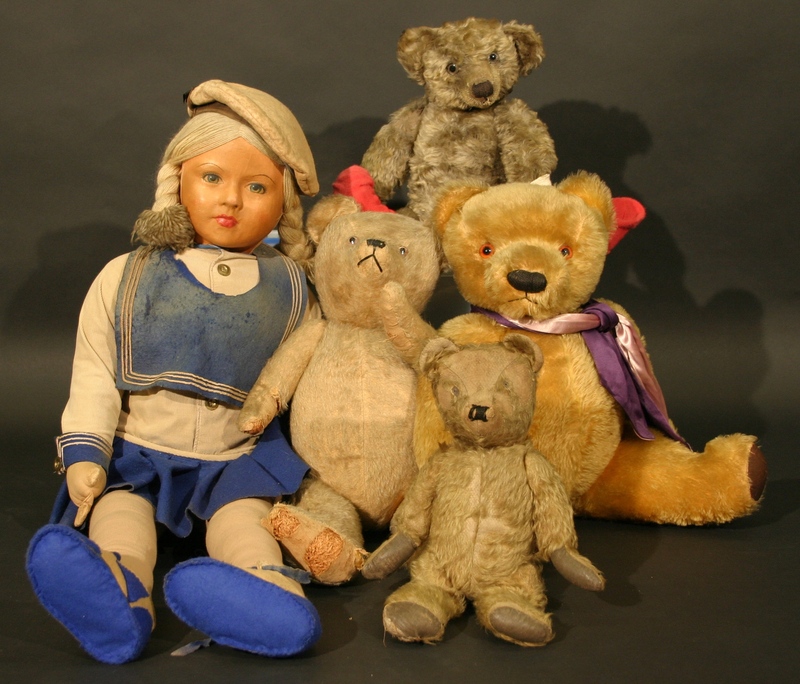 His comrades in arms included an early 20th century mohair bear together with a mid 20th century mohair bear, who achieved £70, a vintage wood filled teddy, who sold for £20, and a Norah Wellings type cloth doll of a child in a sailor dress, who made £45. Away from the play room, a collection of vinyl LPs – including albums by Queen, Deep Purple, Led Zeppelin and The Beatles – did well, achieving £440. Auctioneer Philip Allwood later commented that it was the rarer prog and heavy rock LPs – originally pressed in much smaller quantities than the well-known albums – that were driving high prices as middle-aged music-lovers with disposable incomes sought to build their collections. And gold discs of another kind were also achieving good hammer prices – sovereigns dated 1896, 1912 and 1887 sold for £290, £270 and £270 respectively. Those prices are being seen by the auctioneers as a good omen for a collection of 14 South African Krugerrands, which will be sold at the Selected Sale on Friday, May 25. Each of the 14 coins weighs just over an ounce of 22ct gold – making them a sound investment as gold prices continue to rise.